Here’s what we know about the final season of Game of Thrones: it will be bloody; Ghost and Gendry will play major roles; Jon Snow’s hair will complete its arc; and, um, everybody enjoyed working on Game of Thrones’ final season. That’s it. We’re sorry. 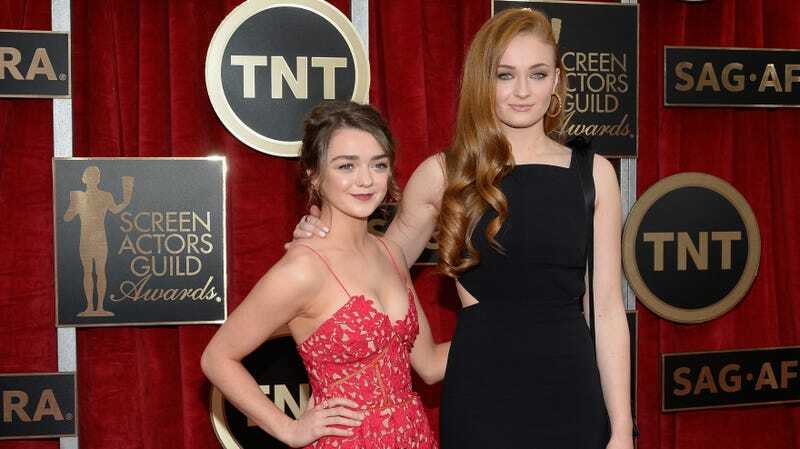 To make up for it, here’s yet another entry in the heart-swelling saga of screen sisters Sophie Turner and Maisie Williams’ IRL friendship. Elsewhere in the chat, the pair discussed meeting at auditions—“Maisie was special,” Turner said—and the lengths the crew goes to prevent spoilers, which include a “drone killer” (that, we’re guessing, is forged from Valyrian steel). Read their full comments over at Vulture.